Expect approximately 30 minute – 2 hour install time. Purpose: This mod will serve several purposes for your car. 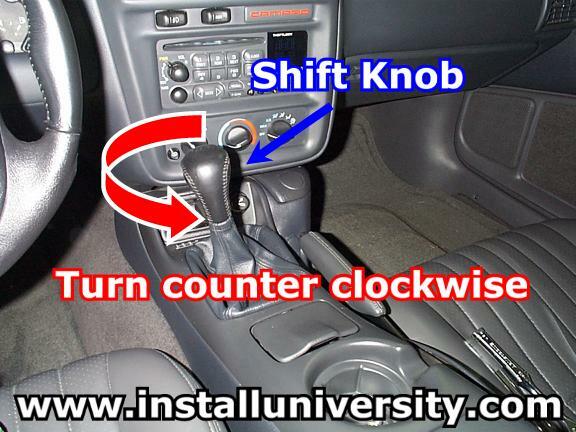 It will help you shift quicker by reducing the throw and having more confidence in shifting. Preface: This install pretty much goes for all shifters on a LS1 F-Body. Lou's short stick just replaces the shifter handle that is already in place. This modification is only for Manual transmission cars. 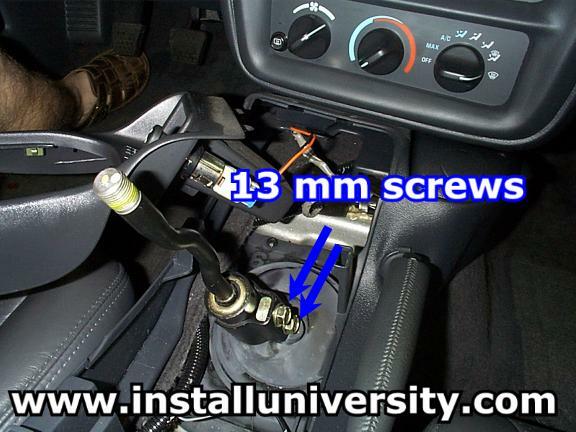 This install does not have anything to do with the automatic transmissions. Before you start into this install be sure you know how to use all of your shop equipment. Take your time and be careful. 1. Chock your tires or make sure you are level ground and are in no danger moving while you are performing this install. 2. 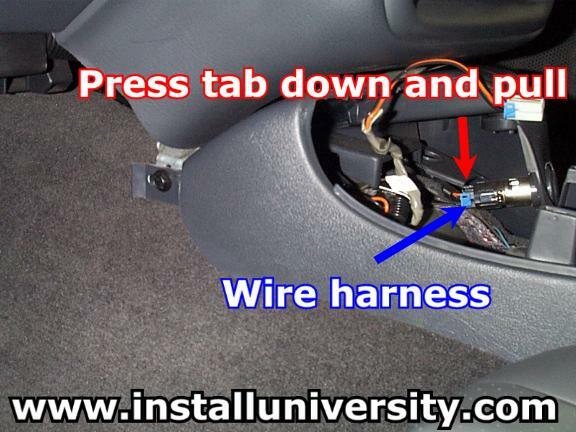 Locate the shifter in your car (see blue arrow in Figure 1). 3. 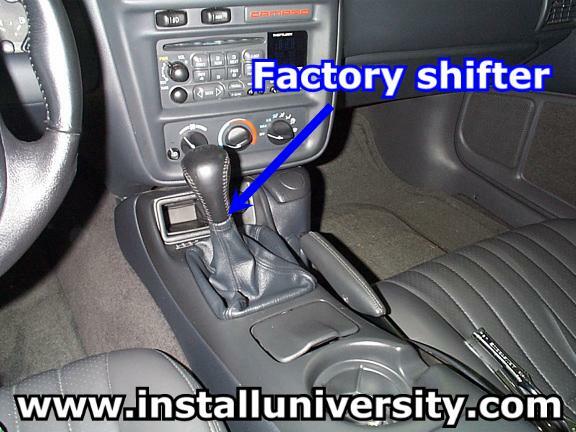 Locate and remove the shift knob on your shifter (see blue arrow in Figure 2). Rotate the knob counter clockwise until it comes off. If it is a little hard to start twisting just keep at it. The knob is really hard to remove the first time. 4. 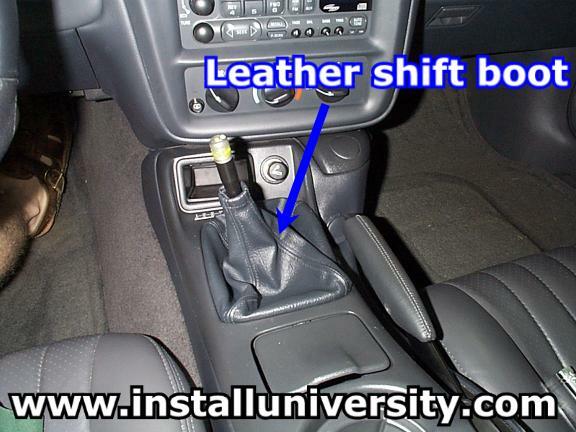 Locate and remove the leather boot on your shifter (see blue arrow in Figure 3). Just be really easy and pull the shift boot up. Take note of how you take it out so you can put it back in the same way. If you are not careful you will break the thin plastic frame inside the lower part of the leather boot. 5. Please read this step in full before continuing. Locate the emergency brake on the center console in your car. You want to place the brake in a 90-degree (straight up) position. Be very careful when performing this step. While helping a friend swap his factory shifter for the SLP shifter he got to playing around in there (because he was curious) and broke the spring and several other components (that we did not find) causing him NOT to have his Emergency Brake. You do not want to pull the brake with all your might to get it to be straight up. That is not how we go about this. You will need a flat head screwdriver that is fairly long in length. Pry the rubber flaps apart on the emergency brake (see blue arrows in Figure 4). On the passenger side of the emergency brake handle you will see metal piece that appears gold in color. This is commonly referred to as a "pawl". 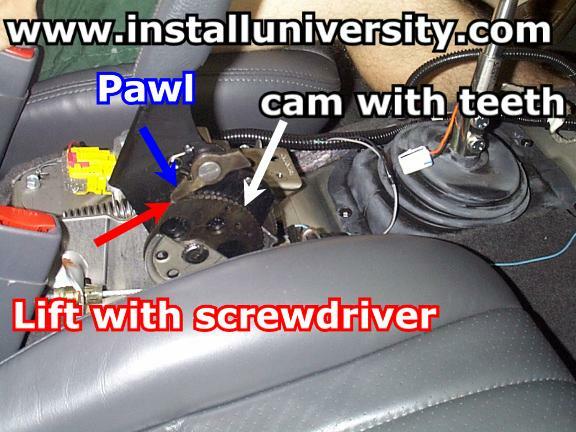 You will need to slide the edge of the flat head screwdriver in between the pawl and the cam with teeth. You can take a look at the inside of the console in Figure 5 to get a better sense of what you are trying to do. This is easy to do because the pawl does not touch the cam. 6. 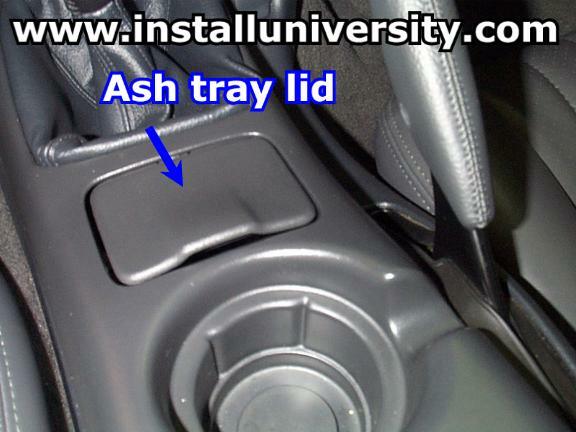 Locate and open your ashtray (see blue arrow in Figure 6). 7. Remove the plastic tray by lifting it out (see blue arrows in Figure 7). 8. Locate the light bulb in the compartment (see Figure 8). 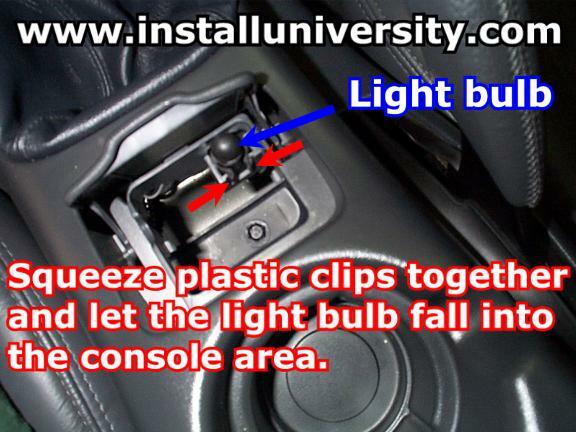 Remove the bulb from the holder by squeezing the plastic clips together. It will get really hot if it has been on for any extended lengths of time. Let the light fall down underneath the console. 9. 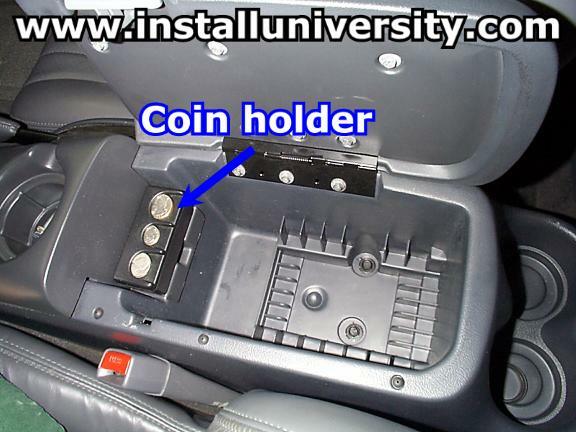 Open your storage compartment and remove the coin holder by lifting up on it (see blue arrow in Figure 9). 10. 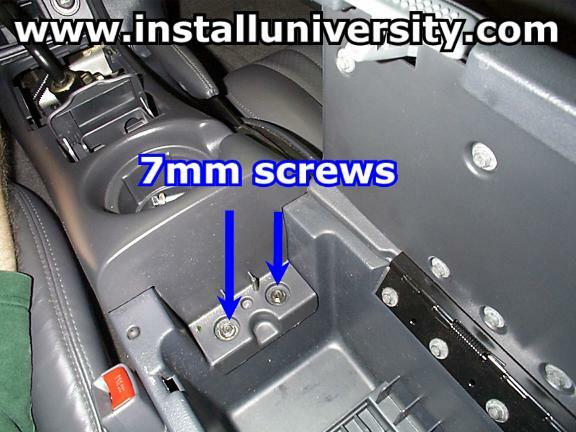 Remove the two 7 mm screws in the bottom of the compartment (see blue arrows in Figure 10). 11. Read this step in full before proceeding. Lift and remove the center compartment and gently pull the compartment back (see blue arrows in Figure 11). 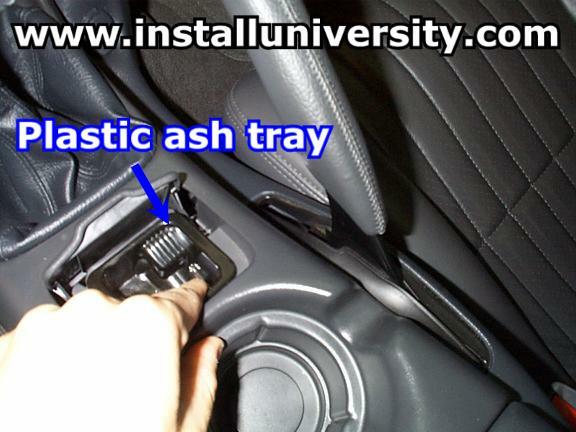 There is a wire connected to the cigarette lighter in the center console (see Figure 12). 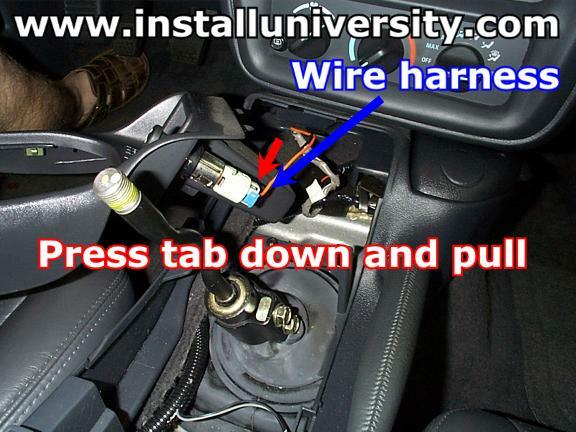 Once you have the console free, find and disconnect the wire harness from the cigarette lighter. 12. 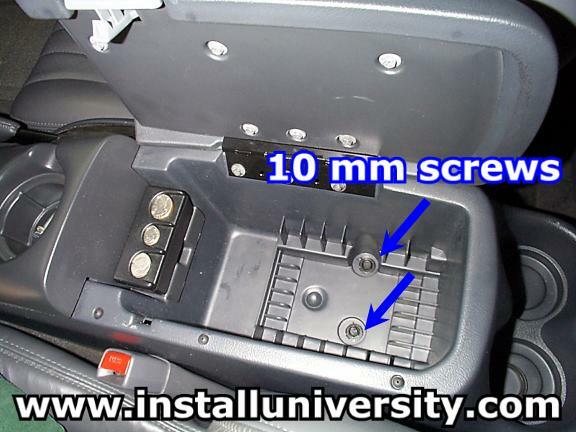 There is a wire connected to the auxiliary power outlet in the lower center console (see Figure 13). Press the tab down and pull the wire harness from the power outlet. 13. 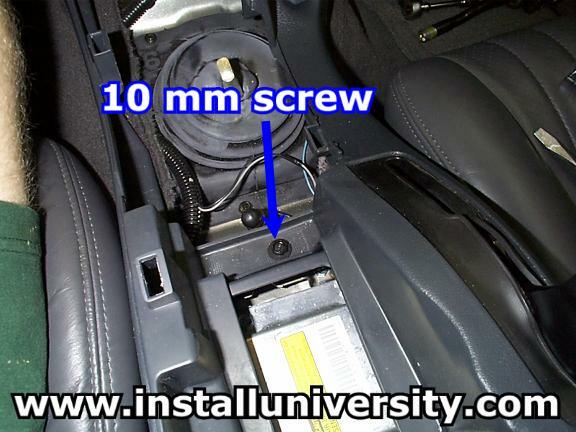 Remove the two 10 mm screws in the bottom of the storage compartment (see blue arrows in Figure 14). 14. 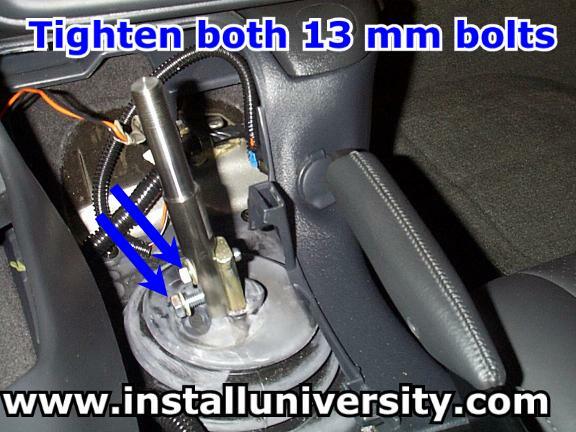 Locate and remove the 13 mm bolts that are located at the base of the shifter handle (see blue arrow Figure 15 below). 15. 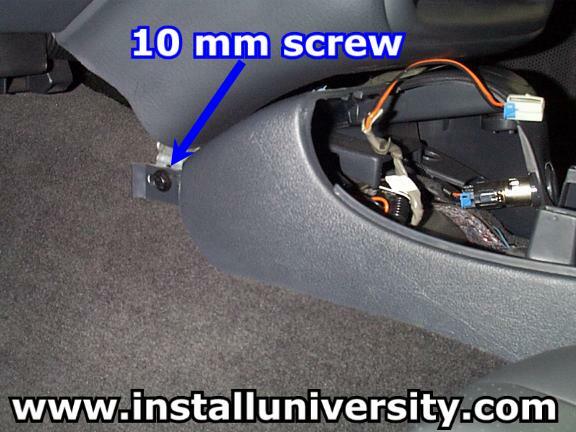 Locate and remove the 10 mm screw that is located below the ashtray (see blue arrow Figure 16). 16. 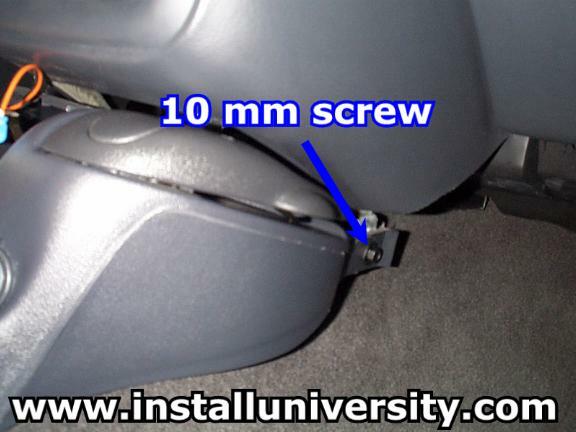 Locate and remove the 10 mm screw down next to your gas pedal (see blue arrow Figure 17). 17. 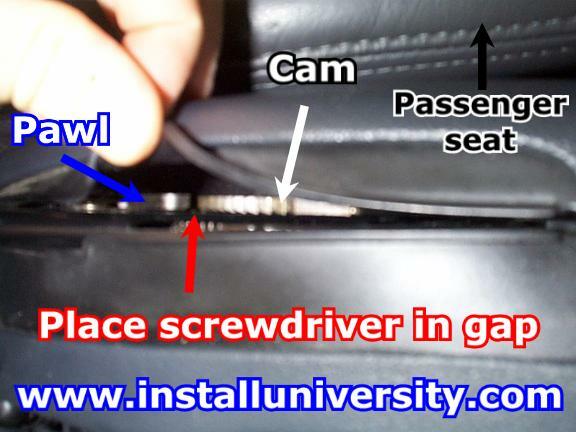 Locate and remove the 10 mm screw on the passenger side of the dash down low (see blue arrow Figure 18). 18. 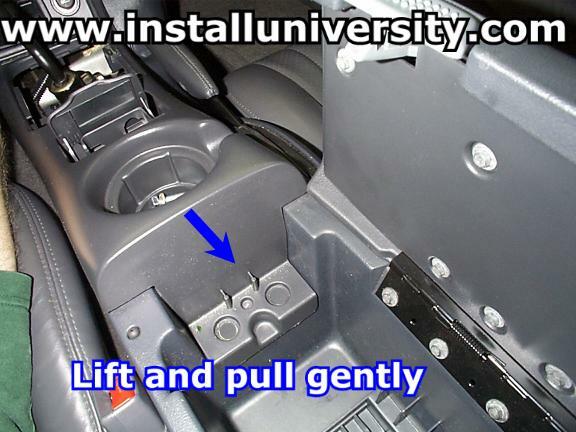 Lift the lower part of the console up and out. Just be careful and take your time. 19. Replace the shifter handle with the Lou Salzano Shift Stick and tighten the bolts to 18 ft-lb. You want to place Lou's stick on the drivers side of the shifter as shown in Figure 23. 20. Start at Step 18 and work your way backwards reassembling everything back together. Tighten all the screws to "snug" and everything will be just fine. Comments: A good shifter should be the first modification made to your car in our opinion. Lou's short stick makes for a great addition to a good shifter shortens the throws (amount of distance you move the shifter stick) a great deal.